Sometimes I like to get all high and mighty, holier than thou and soapboxy about certain topics. One of my favorite topics is evil fast food and how I don't eat it. The problem is, if we want to be literal about it, I actually do eat it. It is true that I never eat McDonald's, Wendy's or Burger King. 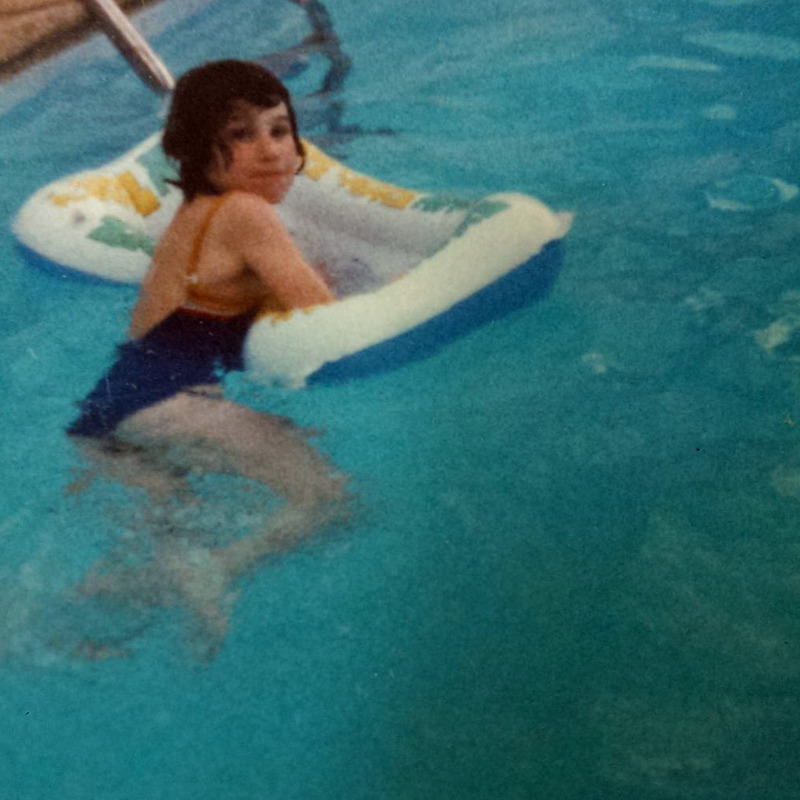 I don't think I've eaten at Burger King or Wendy's since before the year 2000. I am pretty sure the last time I had McDonald's was 2007 or at the latest it was 2008. I remember that I ate an Egg McMuffin at my brother in law's apartment years ago and he moved out of that apartment in 2008. So that's seven years and even swallowed chewing gum is out of your system after seven years so they say. Here's the part I don't talk about as much. I was a Starbucks junkie back in the states. I have been known to visit a Starbucks more than once a day. In my defense I never ordered or drank anything other than coffee, lattes, cappuccinos or tea. I did not drink the blended sweet frappe' drinks. If they had Starbucks here, I would still be a Starbucks junkie. I have also eaten Dunkin' Donuts egg white flat breads for breakfast on more than one occasion. I love Chipotle and if you offered me a bucket of KFC I would certainly accept a piece of chicken. When I lived in Florida I loved to eat at Pollo Tropical and C.R. Chicks. Both are chicken places and both would qualify as fast food. So apparently I do eat fast food. Now I have a new fast food restaurant to add to my "I'm lovin it" list. My new favorite fast food place in South Africa is Nando's. Nando's is a chicken place with stores all over the country. They butterfly the chicken, and kind of flatten it (called spatchcock) and then marinade it and grill it. Before serving, they cover it in your choice of sauce so that it glistens and shines when it arrives on the plate. 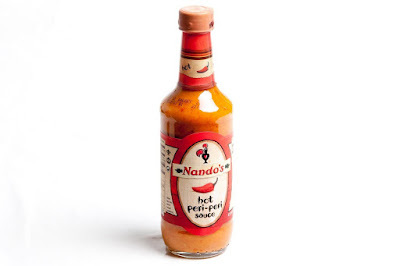 I could (and still might) write a whole blog post about peri-peri sauce. 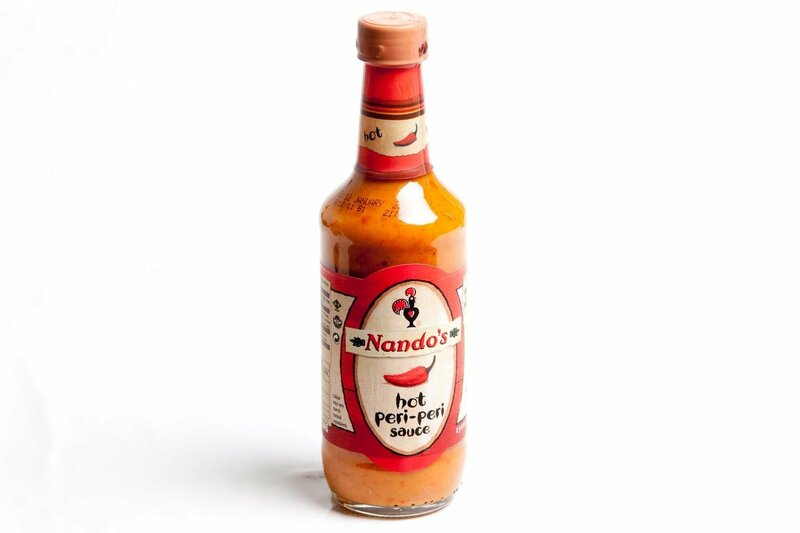 It is a sauce created by the Portuguese when they discovered the birds eye chili in Africa. It is spicy and oh so yummy. And at Nando's you can choose to have your chicken covered in peri-peri. You can also buy the sauce in grocery stores. While the chicken is good, one of my favorite side dishes is the spinach. There is rice as a side in the picture above because the spinach actually disappeared off the menu for a while during the long, cold, harsh "winter" but now that it's spring it is back. Isn't it funny to have spinach on the menu at a fast food place? The spinach also has peri-peri in it, as well as onion and tomato. It is spicy and so yummy. Finally, the other thing I like about Nando's is they give you real plates and silverware if you get your food to stay. Classy! In conducting research about for this post about Nando's, I learned that they do have restaurants in the U.S.A. in Maryland, DC, Virginia and Illinois. So some of you should rush right out and try it. Get the spinach! It's addictive! I've never understood the aversion to fast food. I wouldn't recommend eating it everyday but evil seems a stretch. Of course I also think organic is just a way to get people to pay more for less and that GMO's are wonderful (somewhere an environmentalist just exploded). But hey, each to his own. Speaking of Starbucks I have my own pet peeve about them. They have gotten people used to drinking too strong coffee so when you buy the beans you use up more and therefore buy more. All coffee tastes the same (awful) when you use as much as they do. I don't know how they pulled it off. Hardly anyplace served coffee that strong until Starbucks came along.